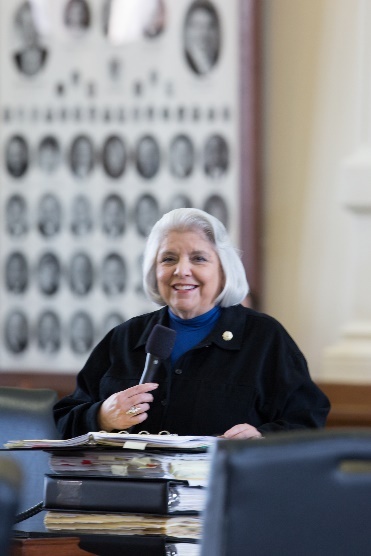 (AUSTIN) — Senator Judith Zaffirini, D-Laredo, won a record number of awards—33—in the Press Women of Texas' (PWT) 2018 communications contest. Founded in 1893, PWT champions First Amendment rights, supports women in journalism and communications and offers scholarships to students preparing for a career in these fields. The organization's annual communications contest recognizes excellence in communications in a variety of categories. Senator Zaffirini's winning entries included 15 first place awards, 8 second place, 5 third place and 8 honorable mentions. "I am truly delighted and honored to receive these awards from PWT, of which I have been a member since 1973." Senator Zaffirini said. "These awards reflect my commitment to communicating effectively with my constituents to best serve their needs." Notably, Senator Zaffirini's entries in the speech category won six awards—from first through honorable mention. The prize winners include her speech nominating Senator Robert Nichols as President Pro Tempore ad Interim of the Texas Senate, acceptance speeches for AARP's Legislative Achievement Award and CASA's Big Voices for Little Texans Award, and a speech for the Topping-Off Ceremony for Texas A&M International University's Academic and Laboratory Hall in Laredo. What's more, she won first, second, third and honorable mention in the categories of news or feature releases (single and multiple releases) and single advertisement for print/electronic publication. The entries winning first place advance to the national level, and the Ann Faragher Sweepstakes Award for the most winning entries in the state contest will be announced at PWT's 2018 state convention in Waco, Texas, in June. The senator has received nearly 1,000 awards for her professional and public service work, including more than 320 for communication projects. Second in seniority in the 31-member Texas Senate, she is the namesake of Texas A&M International University's Senator Judith Zaffirini Student Success Center, United ISD's Senator Judith Zaffirini Elementary School, Laredo Community College's Senator Judith Zaffirini Library, Lake Casa Blanca International State Park's Senator Judith Zaffirini Road and Edinburg's Judith Zaffirini Residential Treatment Center that focuses on fighting drug addiction. 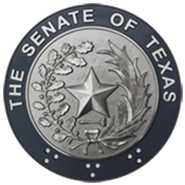 Senator Zaffirini holds Bachelor of Science, Master of Arts and PhD degrees in communications from The University of Texas at Austin, which named her its 2016 Outstanding Communication Alumna. While at UT, she served as a reporter, feature writer, copy editor, headline writer, assistant editor and special issue editor for The Daily Texan, which named her to its hall of fame in 2016. In 2015 and 1980 Senator Zaffirini was named PWT's Communicator of Achievement. SENATOR JUDITH ZAFFIRINI, D-LAREDO, represents Senate District 21 in the Texas Senate. A strong communicator on behalf of her constituents, she has won more than 320 awards for communication projects.